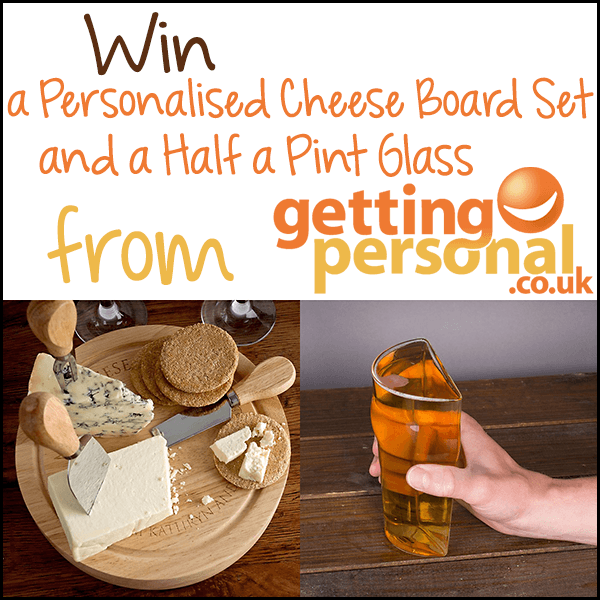 We have just reviewed a Personalised Cheese Board Set from Getting Personal, and now I’m giving one of my readers the chance to win one of these lovely cheese boards in addition to a Half a Pint Glass! To enter this competition, just tell me what your favourite range from the Getting Personal Father’s Day range is. Comment below with your favourite item, and fill in the rafflecopter form to track your entries. Thank you for entering, good luck! This competition ends at midnight on 15/06/14. There will be one winner for this giveaway. Catching a movie at the drive-in! i love the 1/2 pint glass. the have a break personalised chocolate bar! Personalised Wooden Cheese Board Set.